Application, service, or program users - basically customers or clients using a service. Database developers, administrators, analyst, etc… - Those maintaining, working with or monitoring the database infrastructure. While each user does need to access the database at some level, those permissions are not all created equal. For instance, clients and customers need access to their 'related user account' data, but even that should be monitored with some level of control. However, some tables and data should be strictly off-limits (E.g., system tables). You can imagine (I know I do) just how difficult a task managing multiple users or groups of users within a database ecosystem is. In older versions of MySQL, a multiple-user environment is established in a somewhat monotonous and repetitive manner. Yet, version 8 implements an exceptional, and powerful, SQL standard feature - Roles - which alleviates one of the more redundant areas of the entire process: assigning privileges to a user. So, what is a role in MySQL? You can surely visit, MySQL in 2018: What’s in 8.0 and Other Observations, I wrote for the Severalnines blog here where I mention roles for a high-level overview. However, where I only summarized them there, this current post looks to go deeper and focus solely on roles. 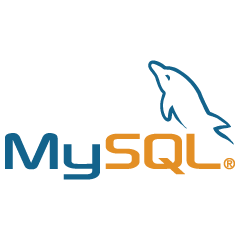 Here is how the online MySQL documentation defines a role: "A MySQL role is a named collection of privileges". Doesn't that definition alone seem helpful? We will see in the examples that follow. The examples included in this post are in a personal 'single-user' development and learning workstation/environment so be sure and implement those best practices that benefit you for your particular needs or requirements. The user names and passwords demonstrated are purely arbitrary and weak. In MySQL 5.7, roles do not exist. Assigning privileges to users is done individually. To better understand what roles do provide, let's not use them. That doesn't make any sense at all, I know. But, as we progress through the post, it will. Can you see how this is less-than-productive, full of repetition, and error-prone? But, more importantly, did you catch the mistake? While granting privileges for these two additional users, I accidentally granted ALL privileges to new user reader_3. A mistake that anyone could make. With roles, much of the above systematic privilege assignment and delegation can be somewhat streamlined. Let's now use roles to establish and assign, privileges for the new users to use the name table. Based on this output, we can surmise; that in all essence, roles are in fact, users themselves. Wait a minute. Can I just log in and carry out any tasks with the role accounts themselves? After all, they are users and they have the required privileges. The simple fact that we are presented with a password prompt is a good indication that we cannot (at this time at least). As you recall, I did not set a password for any of the roles during their creation. What does the mysql.user system tables' authentication_string column have to say? I included the root user among the role names for the IN() predicate check to simply demonstrate it has an authentication_string, where the roles do not. This passage in the CREATE ROLE documentation clarifies it nicely: "A role when created is locked, has no password, and is assigned the default authentication plugin. (These role attributes can be changed later with the ALTER USER statement, by users who have the global CREATE USER privilege.)" Back to the task at hand, we can now assign the roles to users based on their needed level of privileges. It may be less confusing if you use some sort of 'naming convention' when establishing role names, (I am unaware if MySQL provides one at this time… Community?) if for no other reason than to differentiate between them and regular 'non-role' users visually. That was super-easy wasn't it? Less redundant than the old way of privilege assignment. Let's put those users to work now. What on earth? That user was granted SELECT privileges through role main_read_only. To investigate, let's visit 2 new tables in version 8, specifically for roles. Turns out, in order for a user to be able to use a role - and ultimately the privileges - the user must be assigned a default role. There is another important part of the puzzle we need to understand. Since role main_read_write does have the INSERT privilege, user reader_1 can now run that command right? However, once user reader_1 logs back out, role main_read_write will no longer be active when reader_1 logs back in. Although user reader_1 does have the main_read_write role granted to it, it is not the default. Let’s now come to know the 3rd 'level' of 'role setting', SET ROLE DEFAULT. What happens if you attempt and set a user to a role they have not been granted? No user management system would be complete without the ability to constrain or even remove access to certain operations should the need arise. We have the SQL REVOKE command at our disposal to remove privileges from users and roles. This example of user creation, role assignment, and setup is rudimentary at best. Yet, roles have their own set of rules that make them far from trivial. My hope is that through this blog post, I have shed light on those areas that are less intuitive than others, enabling readers to better understand potential role uses within their systems.